Well 2013, you were the Year of Magical Bacon-ry. ManBacon and I just got engaged. Bacon rings for everyone! 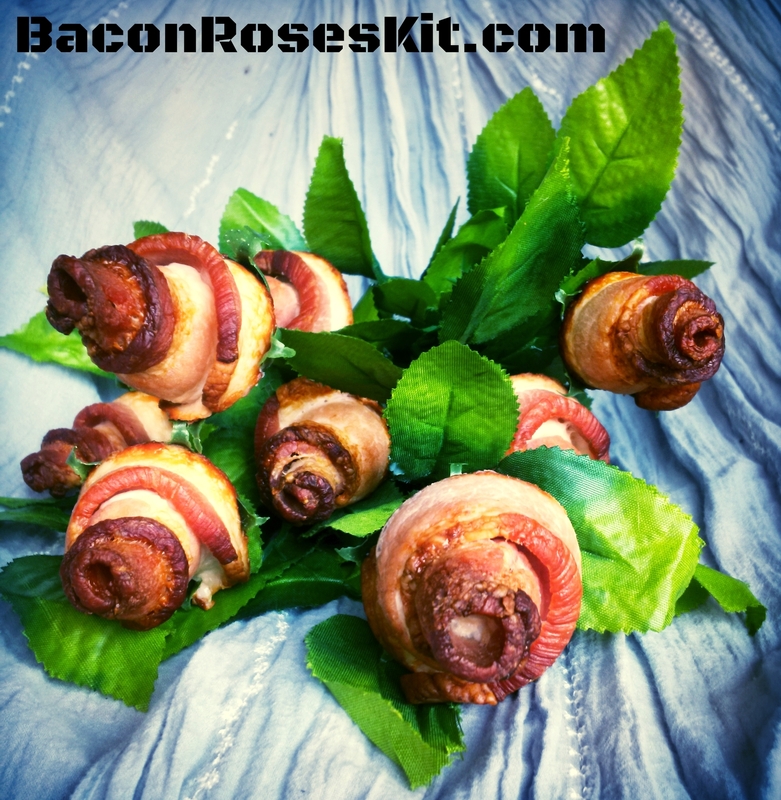 we’ve started selling Bacon Roses Kits on our own little website! Shameless plug, I know. But hey, wedding guests eat a lot of bacon. Happy New Year’s bacon friends! Hope your 2014 is extra bacon-tastical! ah so much CONGRATCHUMALATIONS lady Bacon and manBacon – so very happy for you both and trust everything comes together so you can have the baconest wedding ever! aww thanks, we’re so happy too 🙂 wishing you the happiest of new years! Awesome BG! I am SO EXCITED for you!!! Here’s the big question: What kind of bacon did he use to propose with?? we’re super-duper excited! thanks so much for your kind words, well wishes, and order, woot woot!! bacon salute to you, amazing, friend! Chuckle. Chuckle. Those are QUITE the roses! Congratulations! I hope you have a great marriage! I’ve been married about 17 years this 2014. It just gets better and better. FINALLY! Bacongirl put another little something up, and it is good. I will visit her site. Let us see what we can do here! Be blessed, my dear. If he’s the man you say he is, you got a good one. And, Manbacon. Treat her right. She is a prize. Congrats Lady and Lord Bacon!! Sounds like a match made in an iron skillet!